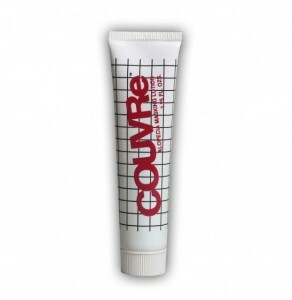 COUVRe is a specially formulated lotion compound that eliminates the contrast between thinning hair and scalp. This masking formula is easy to apply and so subtle, no one will ever know you’re wearing it. It is neither greasy or sticky, therefore it will not rub off or stain. 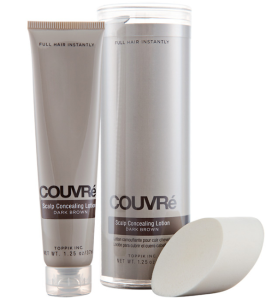 COUVRe cannot block pores or interfere with normal hair growth in any way. 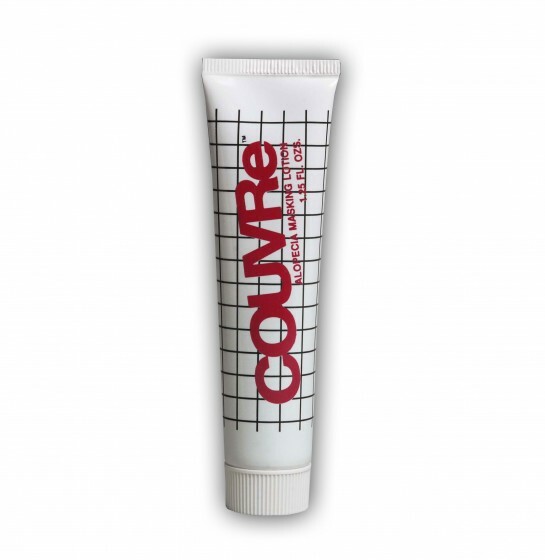 See why Doctors have been recommending COUVRe for over 20 years to their hair loss patients. COUVRe Scalp Concealing Lotion makes hair look instantly thicker by eliminating the contrast between thinning hair and scalp. This waterproof formula with natural pigments conceals the scalp, resulting in hair that looks fuller and thicker. It provides long-lasting, subtle color that doesn’t rub off or stain. Non-comedogenic. Dermatologist recommended. Blonde, Auburn, and White will be discontinued – stock up now if you use those shades! This essential grooming aid is used by both men and women. It comes in a convenient tube with a special applicator that makes your frontal areas look fuller, and thinning areas disappear. It’s economical too – one tube normally lasts 3-4 months. COUVRe will always make you look your best and feel most confident. And remember COUVRe looks completely natural, and will never embarrass you. You add the couvre lotion to the sponge and apply it on your scalp with gentle dabbing movements. You need to apply the substance directly on the bald spots. You do not have to move the surrounding hair on the side, even though this may make the application easier. Works best on a damp scalp. Non-comedogenic. Dermatologist recommended. Resists water but washes out with shampoo. Includes one, reusable applicator sponge. Available in a 1.25 oz/37mL bottle.